12061 Windsor Moss Ellicott City, MD. 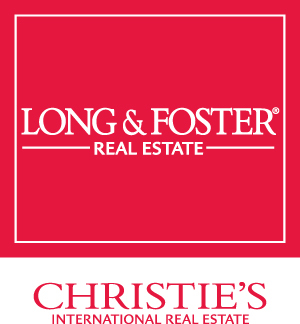 | MLS# MDHW251280 | Donna Wisniewski, Realtor 410-991-7305 donnawis@longandfoster.com Donna Wisniewski helps people buy and sell homes in Annapolis, Anne Arundel County, and Queen Anne's County, Maryland. Homes include houses, townhouses, and condominiums. Home under contract in 4 days! Open House cancelled. Enter this Beautiful & Spacious End Unit Townhome w/20ceilings and gleaming hardwood floors! 2-story open foyer with loft overlooking main level in living & dining area. Relax on the screened porch w/ Trex decking overlooking community open space. The kitchen features maple cabinets, granite counters, stainless appliances, breakfast bar, movable center island with granite, double wall ovens & cooktop with specially designed exhaust fan . Main level features library, laundry room, powder room & Master Bedroom w/crown molding, walk-in closet and Master Bath with soaking tub, vanity w/granite counter, tile floor and beautiful tile in huge shower. Large living room- custom drapes convey! Upper level features loft, 2 bedrooms, huge walk-in closet for storage & a Jack and Jill Bath. Walk-out Basement has a large recreation room with built-ins, full bath & large storage area. Enjoy entertaining your friends at the built-in bar with cabinets, sink, bar fridge & dishwasher! Lots of potential here for in-law apt. New sump pump. 1 year Warranty to buyer! 55 & older community with clubhouse, fitness center, showers, tennis/racquetball, inground pool & more.Custom designed curtains, shades & blinds convey. Washer & dryer excluded. Community wastewater management system.